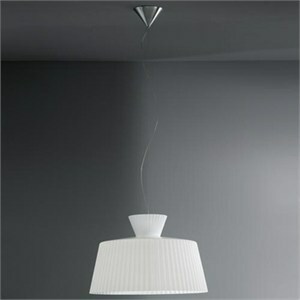 Pendant fixtures with knife pleats of blown glass available in gloss white or gloss lime green diffuser. Conceived in large and small sizes. Metal structures with white painted or brushed chrome finishes. Gloss White or Gloss Lime Green.